← Kneepads – 3 Ways! This round of Celebrate the BOY has been phenomenally fun! I’ve had a great time sharing this series of posts with you, and getting the chance to collaborate with the ever-talented and amazing Dana over at MADE is always a wonderful experience!!! I hope you’ve enjoyed following along and sewing for your own boys! You’ve posted your projects in our Celebrate the BOY flickr group, and that’s been really cool to watch; so many cool projects and ideas in that group. Feel free to keep adding your projects throughout the year. I love checking in to see what everyone is making! Seeing everything I made for this series all together in one place is v. satisfying. Just so you know, I didn’t sew and photograph all of this stuff just in the last two weeks (that would be insane!). I worked on most of these in January and early February so that I would have time to blog about them during Celebrate the BOY. I even started planning a little in December, picking out fabrics and such. It’s so fun to plot and plan with Dana and decide how and when things will run (even if I *say* I want to just post every other day but then inevitably end up posting daily. Oops! It helps that Dana is a fellow overachiever…YAY!). And don’t forget the fun mustache roundup! You can see all of the Celebrate the BOY posts, past and present, in the archives. You can find MADE’s boy archives right here. I’d like to give special thanks to the following sponsors: Fashionable Fabrics, Pink Chalk Fabrics, Fabricworm, Pink Castle Fabrics, The Fabric Fairy, Blank Slate Patterns and Wunderpop. Thank you for supplying prizes for our Celebrate the BOY weekend giveaways! Thanks to all of you, my awesome readers, for your wonderful comments and encouragement. I hope you had fun sewing and following along with Celebrate the BOY 2013! so many fun pics there! Love them all together. Loved this! So many great ideas! Thanks for putting it on! Lovely stuff you and other people made! Lucky boys! Am I allowed to ask about spring tops yet…? OK, give me a week to think about that, OK? Oh, I *suppose* that can be allowed! love all the color, love the roundups, love the series! great work ladies! This is a fantastic resource! Great work, ladies! I love it! I didn’t get around to actually making things this week but I can promise I will be making once I get out from under a few things. And, I love this inspiration. Go Boy! Go Boy! Go Boy! (I am fist pumping while I say this, fyi). What a great CTB! Loved all your projects. Tremendous job Rae and Dana! Thank you to you and Dana! I had a blast, and my son’s wardrobe is so much better off for it! I lost some steam in week 2, but I learned a bunch and feel inspired to try some new projects. You and Dana rocked it — I’m sure it was so much work. Thank you!! I really enjoyed reading what you had to offer for CTB. 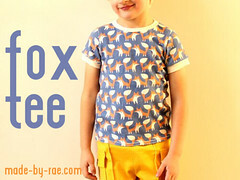 Lots of inspiration and renewed motivation to sew for my own darling boy. Thank you for all your hard work! Just saying Thanks for all the boy sewing inspiration!